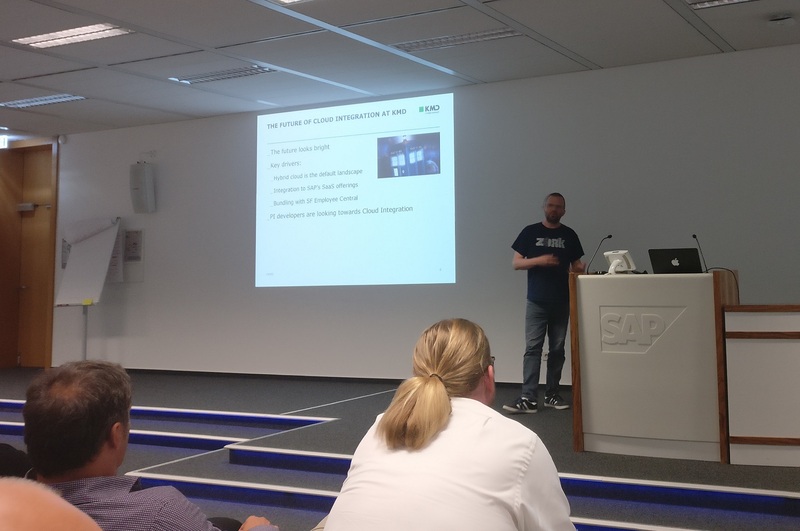 Last week I traveled to the fifth annual SAP Cloud Platform Integration Info Day at SAP in Walldorf, along with my friend and former colleague Daniel Graversen. Around 150 partners and customers were in attendance, which to me indicates that interest in Cloud Integration is strong. The Info Day underway in Walldorf’s building 5. 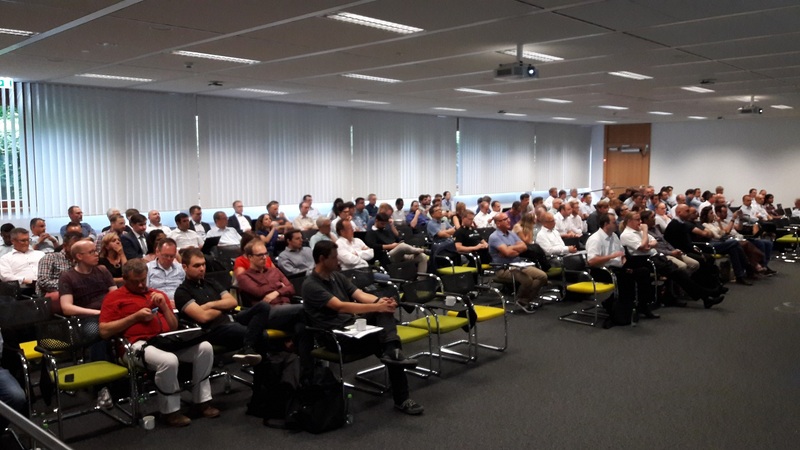 The Info Day was packed with presentations on the topic of Cloud Integration, by SAP employees as well as representatives of partner companies. I was honoured to do one of the partner presentations. In this blog I’d like to discuss three topics, that I found particularly interesting at the Info Day. I’ve been following the development around the Cloud Integration tooling quite closely. It has been clear for some time, that SAP’s focus has been on the browser-based Web UI development tool. However, it is now official that the Eclipse plugin, the second Cloud Integration development tool option, will be deprecated later this year and reach end-of-life next year. There are still gaps between the two, i.e. things you can do in the Eclipse plugin, that you cannot yet do in the Web UI. However, those gaps are closing fast, and the pace seems to me to be increasing. Just recently, resource editing, externalized parameters and a data store viewer were added to the Web UI. Feature parity between the two tools is on the roadmap for Q3. If you are doing Cloud Integration development in Eclipse, now is probably a good time to start getting your feet wet with the Web UI; sooner or later, you will have to make the switch. The Integration Flow API is an upcoming API, which will let you manipulate Integration Flows in code. That is, create them, update them etc. Unfortunately we didn’t get to see any details of the API at the Info Day, but we did get confirmation that it is coming and scheduled for Q3. It is in use internally at SAP, but is currently being polished for a public release. Of the entire roadmap, the Integration Flow API is probably what I’m looking forward to the most. There is a ton of potential for automating stuff and building some really cool tools with it. As soon as I know more, I’ll blog about it here. Up until the Info Day, I hadn’t heard about this new service at all. The paid service lets customers choose a number of their Integration Flows, along with one input message and one output message per Integration Flow, that SAP will then deploy to their internal Cloud Integration test environment. When the monthly upgrade is tested, SAP will run each Integration Flow, passing in the input message and comparing the output to the provided output message. SAP guarantees that the monthly upgrade will not be pushed to production, unless all regression tests run without error in the test environment. Customer worry about the risk of automatic upgrades breaking their integration scenarios, is something SAP and other cloud vendors need to address, and this service is definitely a step in the right direction. I had a really great time at the Info Day in Walldorf. Friendly people and interesting presentations made it a day to remember. Thank you to Udo Paltzer for inviting me to present, and for putting together such a cool event. Thanks for the update from the Info Day, Morten. Really good to know all those. Have also been following all your other blogs on “HCI”, and really appreciate all of them, especially how you unveil the inner workings of the platform, which is really useful given the newness of it. Thanks for sharing the details Morten! Thank you for the share Morten. Do you have any info why eclipse based plug in will be deprecated. In PO, new enhancements are introduced only for eclipse based view while in the cloud it is opposite. Just curious. For Cloud Integration specifically, I think this is about removing the need for installed binaries on your local system. With Web UI, you have everything available to you everywhere (once feature parity has been reached, that is). In a larger SAP Cloud Platform context, it also makes a lot of sense to have all the tools available in the browser. But that’s just my opinion, of course. Both tools have pros and cons, absolutely. And I can’t see adapter development ever leaving Eclipse, so an Eclipse installation is still needed (and for all sorts of other development as well, of course).